Hurricane Florence has begun attacking the North Carolina coastline. Here's a live look at the Frying Pan live cam. Hurricane Florence is being called a monster storm and could be one of the most powerful to punch North Carolina in years. While it has been downgraded to a Category 2 storm ahead of its landfall near Wilmington, torrential rains and a stalling eye are expected to cause widespread trouble for residents. 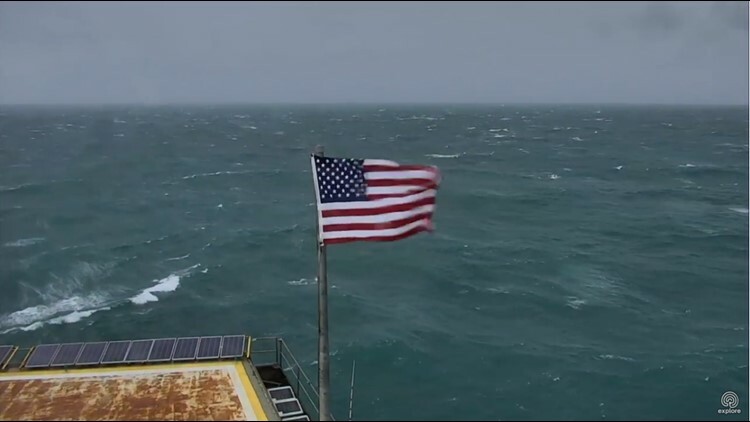 Here's a unique view from the coast -- the explorg.org camera atop the Frying Pan which is an old Coast Guard tower in the middle of the Atlantic Ocean. The Frying Pan Tower is located approximately 34 miles off the North Carolina coast, according to its website. Florence will be dangerously close to the Wilmington coast by Thursday night, and slowing down on Friday. This slow motion is bad for the coast because it increases the amount of time felt by storm surge, powerful wind and heaviest rain.